For each day, find creative activities that you can easily add to your current senior activity calendar for your nursing home or assisted living. TIP: Click on the links in the calendar box below to see more information about each activity. TIP: Use the following monthly themes as inspiration for activity ideas. TIP: Click on the following days of the month to see activity ideas for that specific day. TIP: Click on the highlighted links below to get more information (instructions, recipes, or pictures) to assist with completing the activity. During this National Cherry Month, encourage the Baking Club to make a homemade cherry pie for residents to sample. If time permits, teach residents how to make a lattice-top pie crust for the pie. Persuade residents to take a "snow day" by checking out a book from your facility's library to read on this winter day. Set up several reading nooks throughout your facility to encourage residents to independently enjoy reading this winter. On this Bubble Gum Day, encourage residents to have a contest to see who can blow the biggest bubble. Line participants up in a row and let 'em blow. Encourage other residents to be on the lookout to see who blows the biggest bubble. Encourage residents and staff to wear red on this National Wear Red Day, in honor of American Heart Month. Take pictures of residents and staff members in their red to send to family members. Serve red foods, like cherry gelatin as a snack. Coordinate with Dining Services to host a special breakfast for residents on this Groundhog Day. Consider serving breakfast foods that are native to Pennsylvania like Scrapple or Amish bread. Ask residents if they think that there will be six more weeks of winter. Gather residents to assist you with assembling groundhog treats to pass out to visitors on Groundhog Day. Use chocolate-covered nuts, cellophane bags, and labels for the craft. During this romantic month of February, teach residents how to speak French, the language of love. Recruit a resident or staff member who knows a little French to teach the class. Educate residents about this Groundhog Day by sharing a few fun facts for residents to enjoy while sampling veggies, a favorite of the groundhog. Assist residents with making pom-poms for residents to shake during your upcoming Super Bowl Party. Persuade residents to tap into their inner Norman Rockwell, on this birthday of the famous illustrator, by painting to music. Supply residents with paint and canvases. Keep residents warm by providing them with an array of hot teas for them to sample. Encourage residents to vote on which tea they prefer as you serve butter cookies as a snack. Throw a fun Super Bowl party in your Activity Room in which residents watch the big game on your television. Encourage residents to root for their favorite team. For this Declutter for a Cause Month, assist residents with cleaning out their closets to donate items to a local homeless shelter. Encourage your low-vision residents to gather at a meeting during this AMD/Low Vision Awareness Month. Invite several department coordinators to attend to discuss ways in which their departments can improve services for low-vision residents, like enlarging the print on Dining Room menus or adding more large-print books to your facility's library. Invite residents to reminisce about the United Service Organizations (USO) on this day that it was founded. Ask the residents about the USO parties that they have attended as you play music from the 1940s. Talk to residents about current events and newspaper headlines as you pass out coffee and pastries. On this National Weatherperson's Day, share interesting winter predictions for 2019 with your residents from the Farmers' Almanac. Afterwards, go around the room and ask each resident to discuss the worst winter storm that they have ever seen. In recognition of this Fabulous Florida Strawberry Month, encourage your Baking Club to bake a unique strawberry pizza. For this National Black History Month, discuss the various inventions and discoveries made by African-Americans. Encourage residents to discuss the evolution of race relations in America. In honor of this National Weatherperson's Day, invite residents to learn more about weather by conducting fun weather-related science experiments. Serve veggies and dip as a snack. For this Library Lovers' Month, take residents on a trip to your local library. Call ahead to arrange for a librarian to show your residents around the library. Host a high tea for your residents this afternoon in celebration of this day that Elizabeth II became Queen of England. Add tablecloths to your Activity Room tables and serve hot tea and warm scones. Reminisce with residents about the best female comedians during this Spunky Old Broads Month. Start a debate about the best comedienne of all time. Enjoy this Fabulous Florida Strawberry Month with residents by serving strawberries and cream. Ask residents if they have ever had a fruit tree or small fruit orchard in their garden. Recruit residents to assist you with making valentine kisses using Hershey's Kisses, toothpicks, scrapbook paper, and a heart punch. 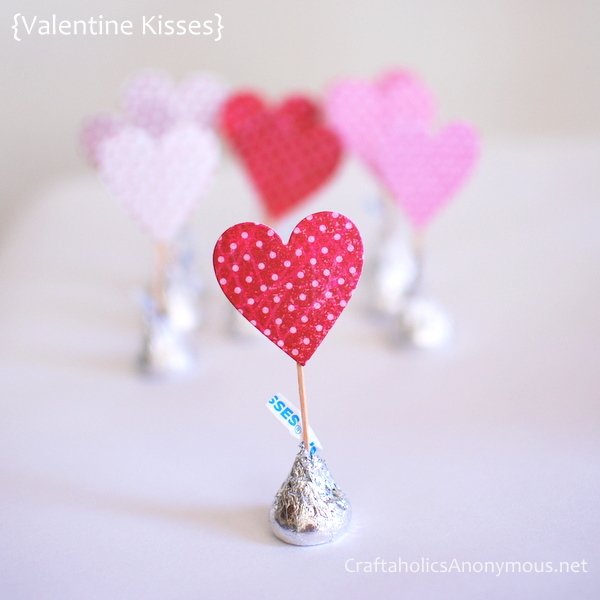 After assembling the kisses, use them as favors on Valentine's Day. Invite residents to improve their heart health by joining your Exercise Class today during this American Heart Month. In honor of this day that ballet was first brought to the United States, show residents a popular ballet in your Activity Room, like Swan Lake. In recognition of this Return Shopping Carts to the Supermarket Month, pass out weekly supermarket circulars for residents to compare prices of today with what they remember paying for groceries. Serve cookies as a snack. Celebrate this birthday of Portland, Oregon, also known as the "City of Roses," by encouraging residents to make beautiful paper towel roses using watercolor-dyed paper towels, wooden dowels, glue, and yarn. During this Bake for Family Fun Month, invite the Baking Club to make tasty cupcakes for the afternoon social. In honor of this birthday of Portland, Oregon, invite a few of your West Coast natives to explain why the West Coast is better. Afterwards, encourage your East Coast natives to list the benefits of living closer to the Atlantic Ocean. Invite residents to reminisce about their past winters and the wintertime traditions that they had with family, like ski vacations or snowball fights. Serve the cupcakes that were made earlier by the Baking Club. On this birthday of President William Henry Harrison, tune your Activity Room television to a national news station for residents to catch up on what's going on in politics. For this Youth Leadership Month, host a mentoring session with residents and their grandchildren. Set up several different activity stations, like a sewing station or a woodshop station, where the residents can teach the kids so that the kids can lead and teach others. Quiz residents with presidential trivia on this day that President William Henry Harrison, who had the shortest term in history with 32 days as President, was born. Serve warm cookies as a snack. Host a fun date night for the couples in your facility. Encourage residents to dress up for a night on the town at a local restaurant. Have fun with residents as you assist them with making candy roses that can be passed out on Valentine's Day. Honor this Creative Romance Month with residents by hosting a weekly reading session where you read a chapter of a romantic novel. For this Spunky Old Broads Month, reminisce with the women of your facility – now that they are older and wiser – about the life lessons that they have learned over the years. Ask the women to share a few funny stories about the mistakes that they have made in the past. Borrow antiques from your local antique store and pass them around to residents. Invite residents to guess what the antique is and how to use it. Serve nuts as a snack. Coordinate with Dining Services to provide a French toast bar for your residents to enjoy during this National Hot Breakfast Month. Invite residents to create toys for their grandkids, like a sailboat or a tambourine, on this day that inventor Thomas Edison was born. During these first few days of the Florida State Fair, host a fun winter fair in your Activity Room. Set up several carnival games, like Ring Toss or Bean Bag Toss, for your residents to enjoy. In celebration of this National Grapefruit Month, host a tart trivia social in which you ask trivia questions. If a resident gives a wrong answer, then he or she must drink a shot of grapefruit juice. To honor President Abraham Lincoln who was born in a log cabin on this day, host a checkers tournament to help residents fight off their cabin fever this winter. For this National Grapefruit Month, use grapefruit, olive oil, and sugar to make a grapefruit sugar scrub that can be used to give hand massages to your residents. Serve a variety of hot drinks for residents on this cold day, like hot tea, hot cocoa, and hot toddies. Show residents the popular movie Dracula (1931) on this day that it premiered. Borrow the DVD from your local library or stream online. Serve popcorn as a snack. Encourage the Baking Club to make a delicious chocolate mousse for residents to enjoy for the upcoming Chocolaty Social. Host a fun tea party in your facility's library to encourage more visitors to use the space and to check out books during this Library Lovers' Month. For this Get a Different Name Day, ask residents which name they would like to be called today. Encourage residents to pick a name that they have always liked. Write their new name on a name tag or label, which residents can stick on their clothing for the day. Get ready for Valentine's Day by serving a tasty favorite: chocolate. Serve a variety of chocolates, including the chocolate mousse that was made earlier today. Have fun with residents as they make valentine cards for Valentine's Day. Create bingo cards on your computer with the names of famous couples in each of the squares. During the bingo game, list facts or trivia about a particular couple and have the residents place a chip on the correct couple's names. Encourage residents to get ready for tonight's big ball by inviting a make-up consultant to give free make-overs to residents. 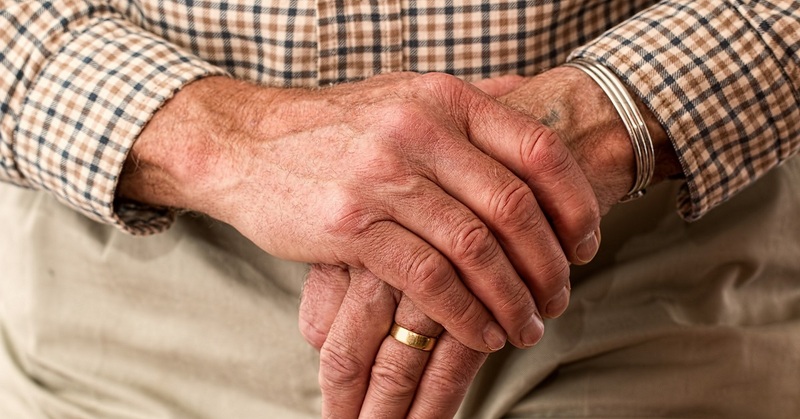 In addition, ask staff members to give manicures to the residents. Serve appetizers on toothpicks so the manicures will remain intact. Invite residents to get all gussied up for tonight's Valentine's Ball. Hire fun, musical entertainment to keep the residents on the dance floor all night! Assist residents with making Styrofoam ball snowmen. Stick the finished snowmen throughout your facility for the season. Host a discussion about the history of women's voting rights on this day that Susan B. Anthony was born. Ask residents about their past voting experiences. On this wintry day, set up your afternoon social near a large picture window for residents to enjoy the winter scenery. Then, serve a variety of "whiteout" snacks, like powdered donuts and hot white chocolate with marshmallows. Play fun music as you hand out Virgin Strawberry Daiquiris to residents during this Fabulous Florida Strawberry Month. On this second day of the Great Backyard Bird Count, supply residents with binoculars to view the birds in your backyard from one of your facility's large picture windows. Encourage the residents to bake ginger cookies for this afternoon's Hot Cocoa and Warm Cookies Social. Keep your residents warm on this cold day by serving them hot cocoa and the warm ginger cookies that were made earlier today by the Baking Club. In honor of this Spunky Old Broads Month, invite the women of your facility to have nonalcoholic margaritas while listening to big band music. Purchase a nonalcoholic margarita mix at your local grocery store. Invite the grandchildren over for a fun Daytona 500 viewing party in your Activity Room. Before the race begins, invite the residents to make soapbox dragsters with their grandkids. Gather residents to assist you in the Activity Department on this Random Acts of Kindness Day. Recruit the grandchildren to help your residents bake delicious snowflake cookies during this Bake for Family Fun Month. Encourage residents at this afternoon social to help plant flower bulbs in indoor planters so that your facility can have beautiful flowers during the wintertime. Serve hot coffee and pastries as a snack. Encourage the red hatters to make no-sew fleece hats to be donated to a local homeless shelter. For this National Engineers Week, show a documentary about the engineering of Egypt, like Egypt: Engineering an Empire (2006). Serve popcorn for residents to enjoy while watching the documentary. During this AMD/Low Vision Awareness Month, host a fun balloon volleyball game for your residents featuring bright colored balloons to help your low-vision residents see the balloons better. Entice residents to enjoy the afternoon with a piece of fresh grapefruit during this National Grapefruit Month. Have fun as you switch up your regular bingo games and play musical bingo instead. Make bingo cards and place the titles of the songs that you will play into each of the bingo card squares. Be sure to play only instrumental songs so that the residents will have to guess the song title and place a chip on the bingo square that contains the correct song title. Celebrate this Bake for Family Fun Month by having a staff member from Dining Services demonstrate how to create a tasty baked good, like cinnamon twist bread. Encourage residents to reminisce about the women's movement on this day that author Betty Friedan published The Feminine Mystique. Ask residents if they recall the contents of the book. Serve warm bread as a snack. Host a fun Snow Moon nightcap for your residents on this day of the Full Snow Moon. Serve warm cookies and juice as a snack near a large picture window. While it may be too cold to take residents outdoors, have fun with residents indoors as you encourage staff and residents to wear their favorite flannel shirts today. Host a fashion show for staff and residents to show off their warm shirts. Take your facility's new residents on a tour of your facility's library during this Library Lovers' Month. On this 20th of February, play music from the Roaring Twenties and encourage residents to dance at this fun, afternoon social. Serve cheese and crackers. Encourage residents to stop by your Activity Room for a hot cocoa nightcap before they turn in for the evening. Set up a hot cocoa bar with marshmallows and peppermint sticks. For this National Bird-Feeding Month, invite residents to assemble birdhouses that can be painted later today. Purchase inexpensive birdhouse kits from your local activity supply store. Invite a speaker like your facility's dietitian to speak to residents about healthy foods that are good for the heart during this American Heart Month. During this National Bird-Feeding Month, invite residents to paint the birdhouses that were assembled earlier today. Once the houses are dry, add bird feed and set the houses outdoors. Host a fun happy hour for residents before dinner on this wintry day. Provide warm appetizers and wintertime drinks, like Hot Toddies or Hot Whiskey Punch. Encourage the Baking Club to make a delicious Russian apple cake on this day that the U.S. hockey team upset the Soviet team during the 1980 Winter Olympics. Show residents how to play a winter sport like indoor hockey on this day that the U.S. hockey team upset the Soviet Union's team at the winter Olympics. To play, divide seated residents into two teams, with each team facing one another. Provide brooms to the residents to hit a soft Nerf ball under an opposing team member's chair to score a goal. For this birthday of President George Washington, share the fable about Washington cutting down the cherry tree. Ask residents what they think about the myth. Reminisce with residents about the five and dime store Woolworth's on this day that it opened. Serve the Russian apple cake that was made earlier today by the Baking Club. In recognition of this snowy season, take your residents on a fun trip to Antarctica. Show a DVD that showcases penguins and other wildlife, like National Geographic: Antarctic Wildlife Adventure (1991). Borrow the DVD from your local library or stream online. Dust off your shuffleboard game and host a shuffleboard tournament in the dead of winter! Pretend that you are aboard a cruise ship and serve fun tropical drinks with umbrellas. In honor of this National Pet Dental Health Month, invite residents to assist you with making dental treats for your facility's house dog. Celebrate this National Wedding Month by inviting residents to bring their wedding photos to your afternoon social to pass around. Serve cake and champagne as a snack. In recognition of this American Heart Month, coordinate with Dining Services to provide a heart-healthy breakfast for residents, like fat-free yogurt with granola, cantaloupe with fat-free cottage cheese, or avocado toast with egg. Assist residents with making recycled bird feeders for your neighborhood birds during this National Bird-Feeding Month. Use recycled materials like egg cartons and toilet tissue rolls. For this Wise Health Care Consumer Month, invite your facility's nurse to speak to family members and residents about the types of health care decisions that should be made at this time. On this Flag Day in Mexico, teach residents a few Spanish words and phrases. Serve guacamole and chips as a snack. Invite residents to make winter scene shadow boxes for the season using small boxes, permanent markers, transparency paper, salt, and watercolors. Encourage residents to make a grapefruit recipe like oatmeal grapefruit quick bread during this National Grapefruit Month. For this Library Lovers' Month, take your residents to the library to hop on a few of their computers so that you can show your residents how to surf the Internet. Take residents back to the comedy of the 1950s on this day that the television show Your Show of Shows premiered, featuring Sid Caesar and Imogene Coca. Show the funny DVD The Honeymooners: The Lost Episodes (1952-1954), which you can borrow online. Serve the Oatmeal Grapefruit Quick Bread made earlier today by the Baking Club. Quiz residents about their heart health during this American Heart Month. For this National Cherry Month, host a fun sweet treat baking demonstration of Double Chocolate Cherry Muffins. Allow the muffins to cool before serving them at the upcoming Chocolate & Cherries Social. Encourage staff and residents to wear their dungarees on this day that jean manufacturer Levi Strauss was born. During this National Cherry Month, invite residents to sample the delectable double chocolate cherry muffins made earlier today during the Sweet Treat Demonstration. Invite residents to watch the PBS documentary A History of Black Achievement in America (2005) during this National Black History Month. On this day that actress Elizabeth Taylor was born, reminisce with residents about actress Elizabeth Taylor's eight husbands as you quiz residents to guess which husband you are describing. Serve wine and cheese as a snack. Show the popular movie Father of the Bride (1950) starring Elizabeth Taylor on this day that the actress was born. Serve popcorn as a snack. On this Floral Design Day, encourage your seniors to make fun and easy tissue paper flowers to decorate your facility. Invite residents to bring photos and mementos to your Activity Room to discuss their family history on this day that scientists discovered the double helix structure of human DNA. In your Activity Room, provide residents with special paper and scrapbooking materials so that they can create a genealogy book featuring their family photos and mementos. For this National Tooth Fairy Day, provide residents with a healthy snack for their teeth, like raw carrots, celery, or cucumbers. Discuss whether any of the residents left money "from the Tooth Fairy" under their kids' pillows. Need activity ideas for next month?